There was little chaos in the house, all the women folks of the village gathered to participate & witness the virgin bathing ceremony of Madhab. He was getting married, but he was little upset. Upset not because he was not marrying a girl of his choice, but of the way he was getting married. It was not going to be magnificent as it was during his elder’s brother Sudam’s marriage a year before. Madhab was getting married by Tolakanya rites; a very simplistic way of marriage in which the bride unceremoniously arrives at the groom’s house and the marriage takes place. Whereas his brother a year before enjoyed the privilege of Panikchadha rites where all the arrangements for Band, Baja & Barat were made. A man marries once in life although few are there who manage have two ore even three in the lifetime, but for them also the first one is outstanding. For Madhab it was plight, it was the verdict that was given by his elder brother Sudam, who was then the shining star and the pride of the family. Sudam works in some garment factory in Bangalore and lives along with his wife, Rupa, in the city, 1500km away from his village in Odisah. He had been telling over phone that it is difficult on his part to stay no longer than one day for the ceremony. He was even telling to drop off the plan of getting Madhab married for a year or two as he does not have any decent way of income as he has in Bangalore. But he was insisted by his parents.. He agreed, but just for a day and suggested to keep the marriage as simple as possible and to be done by Tolakanya rites. Since Sudam was elder and the city dweller, his suggestion was agreed by the family and relatives, but nobody asked about Madahb’s wish. Madhab wished of getting married as all his old friends did, his own brother did; to be groomed up like a king and riding in a hired Indica car decorated with rose petals and scented mogra flower, slowly moving along the Baratis, while his close friends do the “Nagin Dance” as the Band play to tune with full swing. Instead he had to wait for the bride to arrive along with her peers with a long veil over her face and both would be taken to the Mandap made at the courtyard with bamboo and coconut leaves cladding. How shameful. His friends must have been making joke of him. As he was thinking thus and wearing Kurta, Rupa, his sister-in-law, who had arrived just the day before along with her husband from Bangalore, entered his room. “What Deverji, getting yourself ready for the bride? As I did for your brother a Year before....Ha Ha Ha” asked Rupa with satire. Saying thus, Rupa left the room fanning the plight of poor Madhab. Rupa married a year before to his brother. She was his brother's college love. They studied together. Her father was an orderly at the Tahasil’s office. And Tahasil offices are always a good place of extra income under the table. Although her father never had a table in front of him, but managed to get something under the chair on which he sat at the office entrance. As arranged, the bride along with her peers arrived on an auto-rickshaw and the very moment, the women folks roar up with auspicious tongue flickering sound of “Hulo Huli”, conches were also blown by the village conch blowers. The bride took out her first step from the auto-rickshaw, she was wearing a yellow Sari with red border. It was a beautiful fair foot decorated with red Alata, at the border of the foot and at the gaps of the fingers. 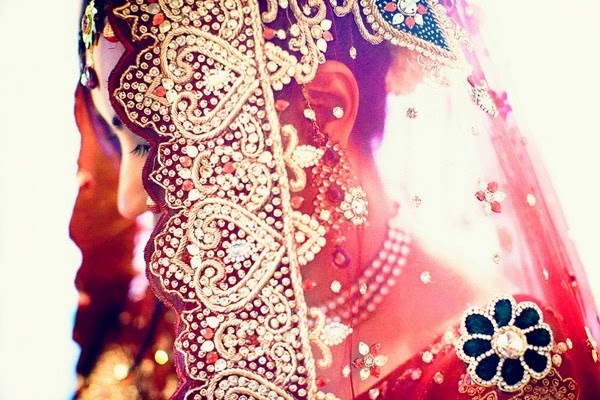 Her face was all covered with netted veil and she was slowly taken to the mandap at the courtyard. Madhab was also escorted by Rupa & other women to the mandap. Madhab got married to the Bride. There was a small feast arranged for the villagers and after dinner all went back home leaving few of close relatives at home. It was the next day, Sudam got ready for the railway station along with his wife, Rupa. But mother intervened. As always Sudam's logic was accepted. “As you wish” replied mother sadly. The couple bade farewell to the family. Rupa was happy to escape the village stay but she was unhappy for an unknown reason. She was unhappy from the very moment she had seen the face of her Devrani and overheard the village women saying she is nowhere nearer to the beauty of the Bride. It was on the fourth day a nominal ritual was made to commence the marriage which allowed the couple to be with each other. The long day turned to evening and ultimately it became night. Although Madhav had seen her earlier briefly, but there was a thirst in his eyes to see her as much he can till he gets satisfied. His room was modestly decorated and the bed was neatly arranged. On the bed she was seated and waited for him. She stood up as Madhab entered the room. A beauty was standing before him. She was so graceful that even the heroines of the films will fail before her. She was wearing a red sari and with the pallu of which she had covered her head. She was looking down. She had very beautiful eyes. Her nose was long and upright and below it were the lips, the pink lips, like the petals of pink Champa. Her chin had small depression in-between. As he was admiring her face, she took a gulp, and his eyes carried him to her slender neck. He was about to go down further. “Hey, Stop looking at me like that, you are embarrassing me” complained Madhab’s newly wedded wife. Madhab startled, his concentration broke. He was not at all expecting such a quick remark from her. Madhad was stupefied. “What were you looking at?” she asked with a mischievous smile. As she smiled two beautiful dimples appeared in her cheeks. It was most mesmerizing moment for Madhab. “You, look beautiful, Priya….Priyadarshani. You have such a big name.” Said Madhab out of confusion and just to divert the discussion started by his newly wed.
“Yes, it’s my nick name. “mmmmm…..ok” saying thus she again gave a beautiful smile. As she smiled the dimples appeared again. It was a turn on moment for Madhab. He took his newly wedded wife in his arms. “Is it? !” she asked as she embraced her handsome husband. Within she was trembling. Her heart was throbbing faster. “I am not; I was just pretending to be stronger” she told as she hid her face on his chest. Madhab smiled. He lifted chiumki’s face with both of his hands while her eyes were still closed. He looked at her for a moment and kissed her pink lips with full passion. Chumki could not open her eyes in shyness, but her beautiful dimples in her face revealed her eternal happiness at that moment. And for Madhab, he completely forgot, few days before he was utterly sad about something. Few months after when Sudam & Rupa came from Bangalore for some obvious reason, they found the house was glittering as Gold. Madhab was doing well in his modernized practice of agriculture and Chumki was handling the household chores and running a small tailoring training centre for the village women.